The Law Society decided not to approve a law school at TWU because students attending TWU must sign a Community Covenant which does not recognize samesex marriage. TWU sought judicial review. The decision was set aside by the chambers judge. The Law Society appealed. Held: Appeal dismissed. The issue on appeal is whether the Law Society met its statutory duty to reasonably balance the conflicting Charter rights engaged by its decision: the sexual orientation equality rights of LGBTQ persons and the religious freedom and rights of association of evangelical Christians. 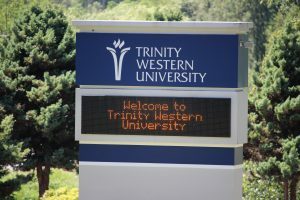 The Benchers initially voted to approve TWU’s law school. That decision was met with a backlash from members of the Law Society who viewed it as endorsement of discrimination against LGBTQ persons. The Benchers decided to hold a referendum and to be bound by the outcome. A majority of lawyers voted against approval. The Benchers then reversed their earlier position and passed a resolution not to approve TWU’s law school. In doing so, the Benchers abdicated their responsibility to make the decision entrusted to them by the Legislature. They also failed to weigh the impact of the decision on the rights engaged. It was not open to the Benchers to simply adopt the decision preferred by the majority. The impact on Charter rights must be assessed concretely, based on evidence and not perception. The evidence before the Law Society demonstrated that while LGBTQ students would be unlikely to access the 60 additional law school places at TWU’s law school if it were approved, the overall impact on access to legal education and hence to the profession would be minimal. Some students who would otherwise have occupied the remaining 2,500 law school seats would choose to attend TWU, resulting in more options for all students. Further, denying approval would not enhance access to law school for LGBTQ students. In contrast, a decision not to approve TWU’s law school would have a severe impact on TWU’s rights. 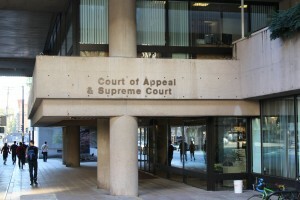 The qualifications of students graduating from TWU’s law program would not be recognized and graduates would not be able to apply to practise law in British Columbia. The practical effect of non-approval is that TWU cannot operate a law school and cannot therefore exercise fundamental religious and associative rights that would otherwise be guaranteed under s. 2 of the Charter. In a diverse and pluralistic society, government regulatory approval of entities with differing beliefs is a reflection of state neutrality. It is not an endorsement of a group’s beliefs. The Law Society’s decision not to approve TWU’s law school is unreasonable because it limits the right to freedom of religion in a disproportionate way — significantly more than is reasonably necessary to meet the Law Society’s public interest objective. I am thankful for the unanimous decision by the BC Court of Appeal. My hope and prayer is this: Will the law societies now quit their harassment and bullying of Christians, Muslims, Jews, and others of faith – who happen to teach sexual morals? Thank you for keeping us updated.